Now, maybe you are thinking that’s a strange title. Because shouldn’t visiting cemeteries make you sad? Well, if they all made me this sad I’d stop visiting them. Of course I feel sorrowful when I see baby graves. Occasionally poor maintenance distresses me. But these feelings are offset by my excitement over some mystery, or my enjoyment of the beauty of a particular graveyard, or the fun I am having taking pictures or planning out what I am going to write about. But then I visited Middlebrook Cemetery and every time I think about it I feel sadder. This was a cemetery I had been making a mental note to visit every time I drove down Middlebrook Pike toward town. It’s located at the corner of Keith and Middlebrook–or what used to be the corner, back when Keith still connected to Middlebrook. I passed that cemetery countless times as a child, when driving over Sanderson Hill was one of our go-to routes from Cumberland Estates to West Knoxville. It didn’t take me long to realize this wasn’t going to be one of the more picturesque cemeteries I’ve visited. Having to pull right into the cemetery to park–next to the car of some neighborhood resident who is using it as a permanent parking place–was the first clue. The weeds and trash which were the first thing I saw when I got out of the car didn’t help. Then there’s the location. I know the cemetery was established in 1878, and it can’t help what’s happened to the countryside since. But there’s not even a fence to provide separation from the less-than-pastoral surroundings, and precious little vegetation, except for weeds. Let’s talk about the weeds, shall we? Someone (the City of Knoxville, I’m sure, and I’ll explain why in a bit) is mowing the cemetery and probably removing at least some trash. But when weeds cover approximately 90% of the graves, that’s going to take a lot of work–or weed killer, anyway–to eradicate. Normally I spend a lot of time taking pretty pictures in graveyards. It was hard to find anything pretty about this one. My best pictures, below, are interesting partly because of the weeds. There were a few more plots on the west side of the graveyard that had received this treatment. The article was written in 2012, so I hope that the cleanup efforts are ongoing and have not been abandoned. I could have posted SO MANY of these. I stopped taking pictures. I could not figure out what was going on. Yes, old graveyards have lots of infant and child graves. We all know times were hard back then. You might be surprised to know how many baby graves there are even in newer cemeteries. But here it was almost every grave. Of course I wondered why. The above-mentioned article provided a possible explanation, although even this is steeped in legend as apparently records from the founding of this cemetery are lost. Some say that a home for unwanted children once stood near this spot, and that these are the graves of some of its residents. You will notice that many of the stones above list only the name of the child, so it’s possible. Now, there are some family plots, or at least husbands and wives buried together, or stones obviously chosen with care, like these below. So what exactly is going on here? I didn’t find any clues as to why particular people would have chosen this as their final resting place. 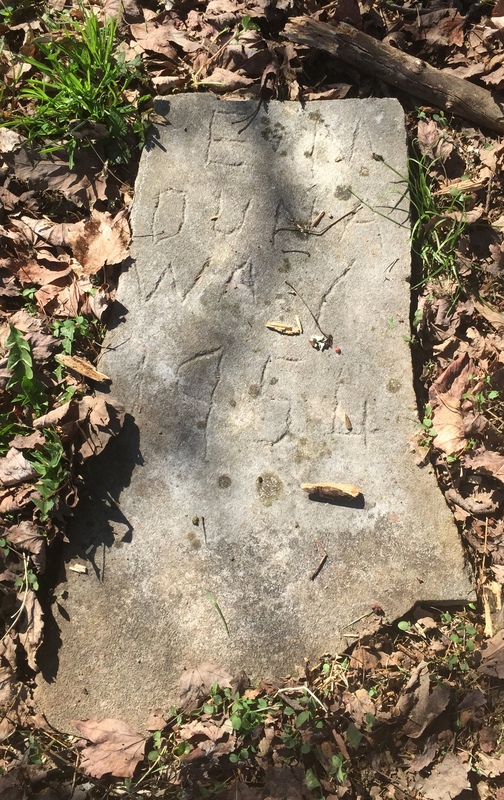 The earliest online records don’t indicate who owned the property before it was a cemetery, and in any case even though the sign says it was established in 1878, almost all the recorded burials don’t begin until some years later. I’d say the majority of the graves date from 1885 – 1920. While there are a few names that appear more than five times in the Find-a-Grave database (Nelson, Day, Goode, Brown, Smith, Hood, Pressley, Rutherford, Weaver, and Wilson) it’s not obvious that this was ever a family cemetery or even a local cemetery, and as far as I can tell it isn’t associated with the nearby church. While many of the names are still familiar in Knoxville today, none are memorialized by nearby streets to indicate that they were particularly prominent citizens of the area in the past who might have been landowners or founders of churches. In fact, where Find-a-Grave includes death certificates, people buried here appear to have come from all over town. So it’s a mystery. And here’s the biggest mystery of all: who is responsible for this cemetery? And that’s a question that really has no answer, because NOBODY KNOWS. That’s right, the origin of this cemetery is so lost in time that if you head over to KGIS and look at the owner card for this cemetery, it reads UNKNOWN. Which is why it’s in the shape it’s in, and why the city has stepped in to try to fix it up. So what with all the babies, and the lost history, and the weeds, I guess it’s no surprise that I still feel melancholy when I think about this place. I promise to share a happier cemetery with you next time. 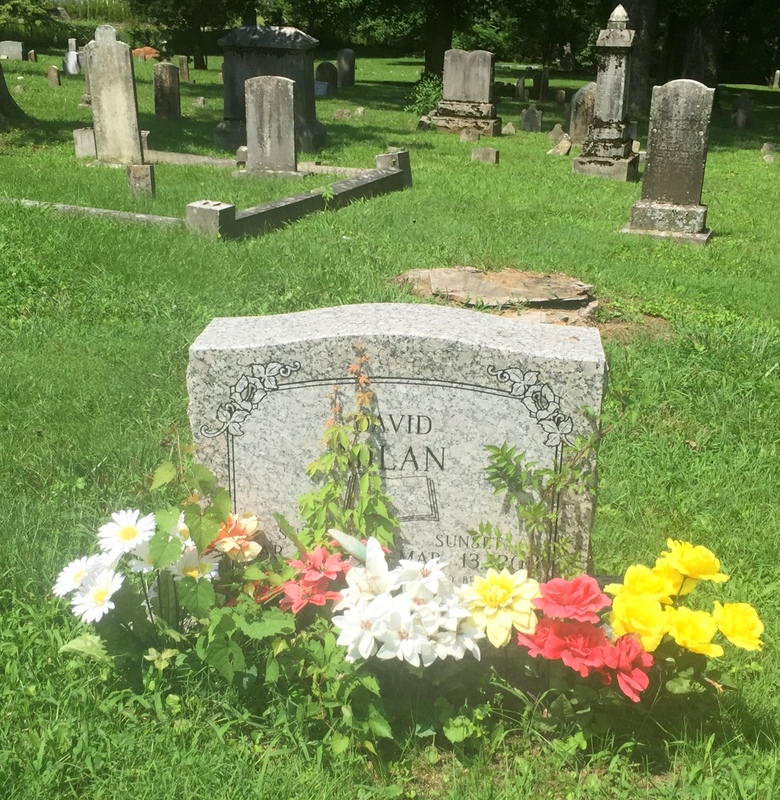 For more (and much nicer) cemetery adventures, check out THIS POST. Pictures don’t look as pretty on grey days at winter’s end, but that’s the kind of day it was when I stopped by Grigsby Chapel United Methodist Church Cemetery a few weeks ago. I don’t have as much context for this post as I’d like. Perhaps any local historians could chime in down in the comments, but I couldn’t find much online about the church, the cemetery, or even the Grigsbys, even though they have not only a church but a road named for them! As you can see, this cemetery has been here for awhile. The church was established in 1851, and the earliest marked burial is dated 1864. One online source suggested that earlier graves are unmarked. In almost every older graveyard I’ve visited, you’ll find one area with all the older stones. Not so here. It was odd how mixed up everything was, and even though this is an exceptionally flat graveyard for hilly East Tennessee, the graves were scattered more then usual, with less of an attempt at making rows. Not that I care–straight lines are boring anyway. But it’s unusual. There are a lot of Kelleys buried here. Also many Newcombs (spelled various ways), along with members of the Vinsant, Lovelace, Bates, Herron, and Letsinger families. Some stones appeared to be hand-lettered. For whatever reason, the older stones here were extremely hard to decipher. This cemetery is mown and free of sticks or old flowers. Of course, like all cemeteries, there are a few broken stones, along with signs that the site has experienced growing pains over the years. Sleep on my dear and take thy rest. God called thee home for he thought best.